Cindy is a member of Deline Dene Band, Treaty 11 from Great Bear Lake, Northwest Territories. Born and raised in the North and educated in the North, Alberta and USA, she currently lives with her family in Yellowknife. Cindy worked on Aboriginal rights and environmental issues with the Dene and many other Aboriginal groups on the local, national and international level. 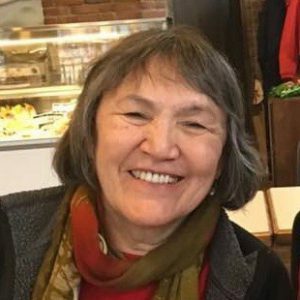 She served as Communications Coordinator for the Dene National Office in Yellowknife and as International Communications Coordinator for Indigenous Survival International for many years and has continued to work with Aboriginal communities in her job in community relations and through implementation of DDMI Participation Agreements. Cindy served as the first Indigenous representative on the World Conservation Union and the first Chair of IUCN’s Task Force on Indigenous Peoples. She also served as the moderator for the first United Nations Conference on Aboriginal Peoples and the Environment in North America. Cindy received the 1994 Aboriginal Achievement Award in recognition of her work on Aboriginal rights and environmental issues.